You've got a good arsenal of short form games, you feel pretty solid about playing them, and now you want to take it to the next level: Performing a short form show in front of real live people. Short Form 3 is where you want to be! Rather than just practicing games one at a time in the classroom, Short Form 3 teaches you how to approach short form from a performance mindset, including honing specific improv skills, learning performance tips, creating a line up of games for a show, emceeing shows, introducing games, involving audience participants onstage, and playing with much joy and ease. 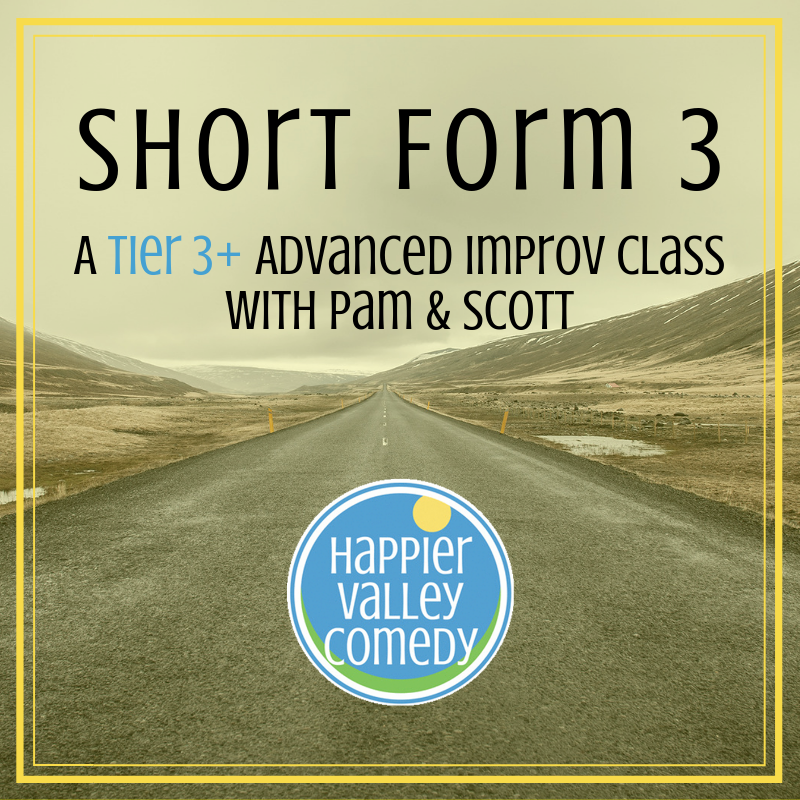 You will perform one in-class show for your class, friends, and family, and one showcase show, including running the short form improv jam for audience members. Hey kids, wanna put on a show?? ?